As the workspace industry grows, so does the demand for flexible spaces focused on wellness, connection and community. Area’s design director, Kathryn O’Callaghan-Mills, shares why it’s important to understand a company’s culture before designing a space and how design can be used to foster community. According to O’Callaghan-Mills workspace design today is about empowering and enabling people on how they want to work. 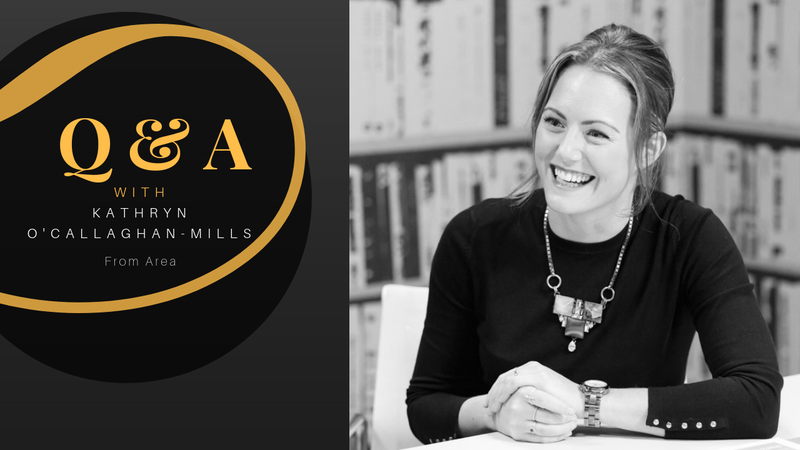 As design director at Area, a UK-based design and build company, Kathryn O’Callaghan-Mills has seen firsthand the evolution of shared workspace design. And, as someone passionate about creating human-focused spaces, she’s furthering the coworking movement in interesting ways. Allwork.Space spoke with O’Callaghan-Mills about how design is used to attract a particular clientele, how coworking spaces should not be designed around trends, and how workplace wellness begins with flexibility. Here are the highlights of our conversation. Allwork.Space: In our previous conversations, you’ve touched on how workspace design can be used to attract people, but also to create a sense of community and belonging. Will you tell me more about that? Kathryn O’Callaghan-Mills: One thing I find fascinating about the way coworking has evolved is that stereotypes of who is going to use a coworking space have been broken down. Now, you can see how private corporations have gone to designers and asked them, more or less, to design a coworking environment, but in their private space. You can tell already from the market the influence and profound impact coworking is having across the board, whether it’s private or public. The whole ethos of coworking is built around the sense of community. It’s lots of private clients, and you can’t know your clientele as well as you would if you had a single client. With a single client, you would need to base the design of their workspace completely around the individuals that would use the space — that’s what would make the space a success. In a coworking environment, you don’t have the luxury of being able to know all the people who will be using the space. It’s constantly changing and you can’t predict whether it’s going to expand or contract. It’s all about creating a sense of community, and creating spaces which enable a community to build. That really comes down to flexibility. Allwork.Space: Flexibility is key for me as a member. I see articles, almost daily, that are takedowns of open environments. But, I don’t sit in the open space every minute of every day. I’m in the phone booth, or the meeting room, or the podcast booth, or library row because I need some quiet time. How do you see flexibility being designed into workspaces? The exciting thing about workspace design moving forward is this whole ethos of empowering people how they want to work. It’s a modern era now, one where you’re not dictated to as to where your desk is, where you sit, and this is how you work. Lots of businesses have recognized that, in order for an individual to be the best they can be, everybody is different. If you want to work in a different way for a different task, those settings have to be catered for. I see workspace design evolving and expanding in different settings. There’s also the workspace as a home-from-home, and the blurring of what is work, and what is home. We don’t have such clear boundaries anymore. I find it fascinating. 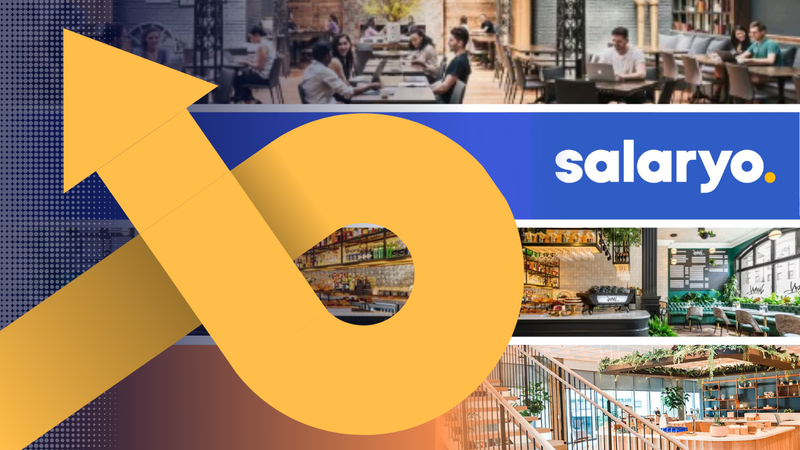 Allwork.Space: You mentioned that corporations are inviting designers to create a coworking environment within their existing space–presumably to stoke the energy of a shared space: the collaboration, the serendipity, the encounters. Do you approach a project like that differently than you do a standalone coworking space? They would be slightly different. With a coworking client, you very much know what their drivers are and what their parameters are. It really is a jigsaw puzzle with how you work out their return for investment. We would know how many desks and how many office spaces they would need to let, in order to make their business model work. When you work with a private client, it’s very much about creating a space that enables the workers to do really good work, which, in turn creates a happy workforce and happy people, which creates a happy culture—it can only mean good business for that particular client. So it’s a slightly different design ethos, if you like. You’re not actually designing so much for financial investment and return, you’re designing more for serendipity, the bump spaces for collaboration and communication. Allwork.Space: Are there design trends in coworking and shared workspaces that you find particularly interesting or surprising? There’s a big emphasis on our digital culture in recent years, and that’s really accelerated the trends with regards to social media. Trends are there for a reason—they’re popular and attractive—but, when you start to design around trends, you can lose the essence of what the space is. When we approach a project, we want the design to encompass your culture and your values. That’s what your space should look like, and that’s how it should feel. Trends are really positive, and they can influence the design, but I don’t believe design should be based around a trend. I believe you just have to create a really good workspace, with lots of flexibility, and lots of choice. Then you’ll attract all types of people. You don’t necessarily want to just hone in on one particular sector. Allwork.Space: How is design being used to express a brand’s values? When we look into a client and their expectations for the project, we like to go spend a couple of days working in their space—if they’ll allow us to. Then, you can really understand the people, and the culture, and their values. Without understanding the essence of what the company is about, the spaces tend not to work. For instance, you could put the most beautiful, large, breakout area for a town hall, and for everyone to have a party, and have a beer on Friday at 4 o’clock. But, if the culture isn’t there—maybe people don’t particularly want to socialize, or they’re more introverted in the way they work, or they just want to get home to their families, that would be a massive waste of space. We would see that as a failure on a project. You’ve just looked at a business from the facade, without actually digging into it and understanding what’s important to them and their values. Allwork.Space: As we see the rise of wellness as a workspace focus, how are you designing spaces to cater to that vision and demand? Health and well-being is absolutely at the forefront of any design. Owners and operators have come to realize that the biggest asset value is obviously the people. If their health and well-being is at full potential, it can only be a good thing. It comes down to flexibility. There’s no one-stop solution anymore. Somebody who’s an introvert will work in a very different way from somebody who is an extrovert. You just have to cater for all those scenarios for those different personality types. Doing this creates a harmonious working environment where everybody has the space for them to do their own tasks, and there’s also space for everybody to come together and work together.